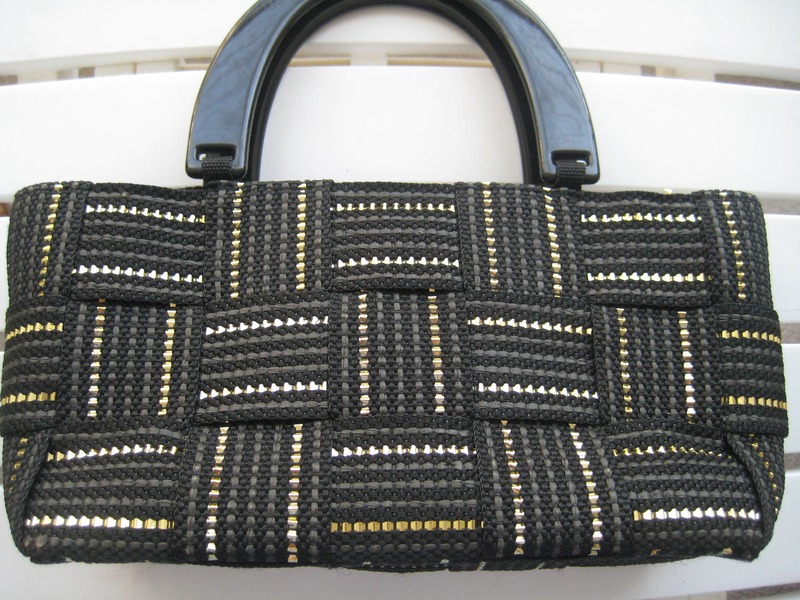 Classic Italian weave purse by M & G Bertini. 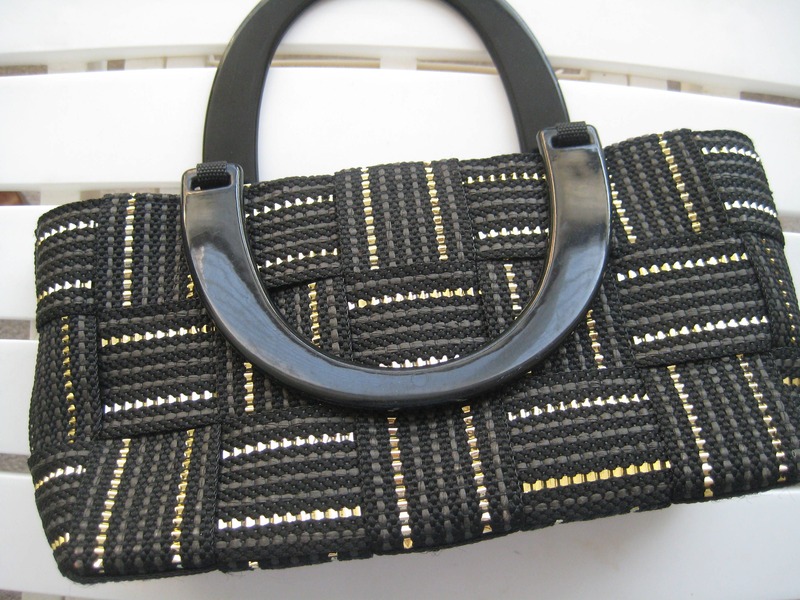 Canvas black straps with gray and gold accents, woven into a tote-like bag with double black Lucite handles. Handles have a 4 inch drop. Plastic zipper closure. 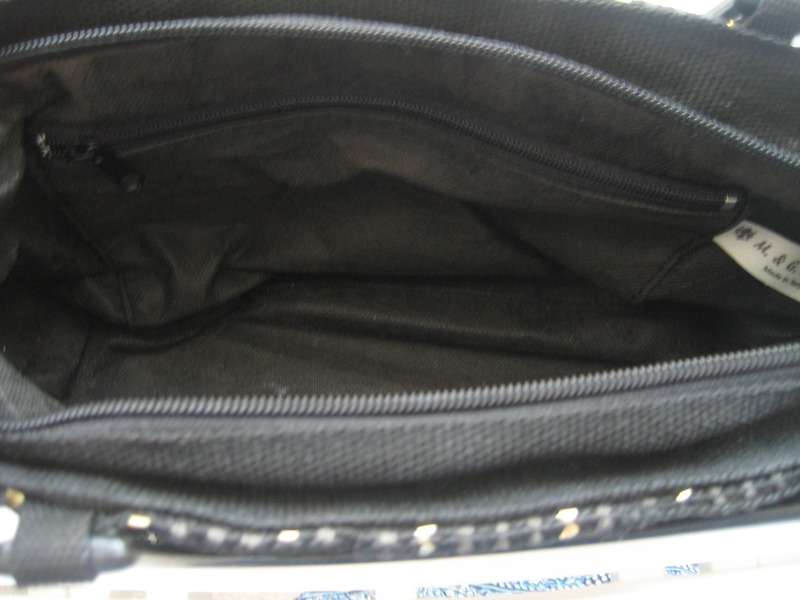 Black polyester lining with one side zipper pocket. M & G Bertini. 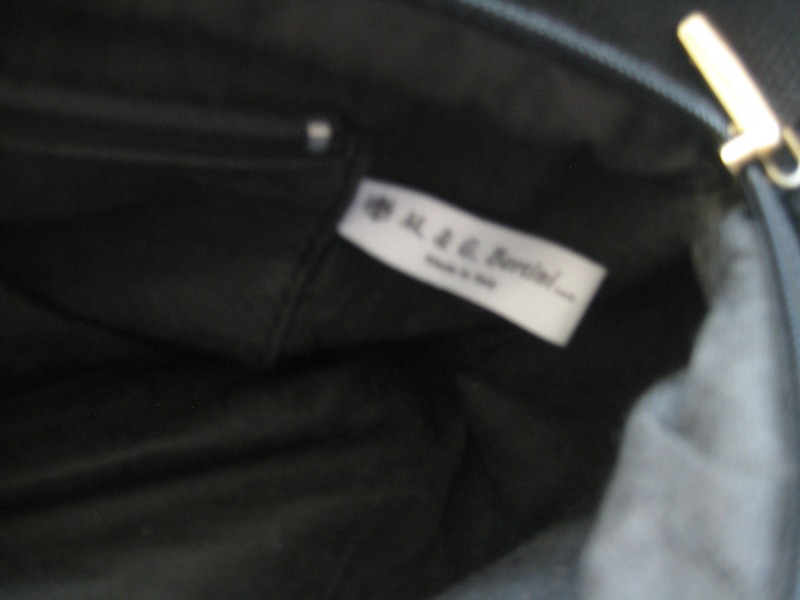 Made in Italy label. Solid, practical bag with lots of room for everyday use. Wonderful shape and style from the 70's! 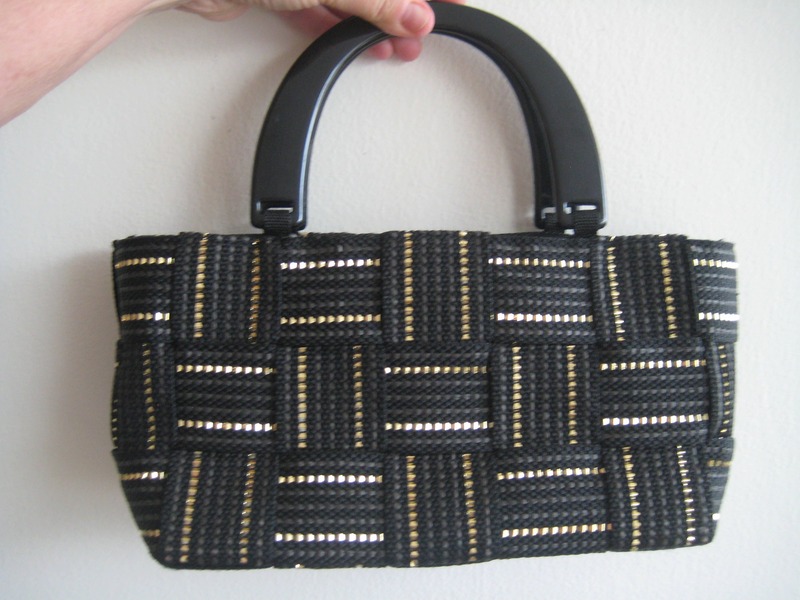 Dimensions: 12 inches long x 8 inches tall x 5 inches wide.